In our complicated and diverse modern world, even the fundamentals can be difficult to get right. That’s why we’ve found the players who are changing the game, embracing complexity and doing amazing things to delight their customers. After I graduated in 2000, I joined the Grad team at Procter & Gamble. After working there in various sales & marketing roles for 5 years, I moved into consultancy where I specialized in marketing and innovation, advising brands such as Coca-Cola and Kimberly Clark, before moving into the finance industry around the time of the financial crisis. Great timing! During my time at HBOS and then Lloyds Banking Group, I was involved in a number of different areas including innovation, existing customers and customer marketing. My interest in marketing is two-fold. Generally, I’ve always been interested in psychology and in particular the psychology behind consumer behavior. The other side that really interests me is the way great consumer brands make things, especially the new and adaptive ways they innovate. It’s a good question, as one of the things I like to do is continually try to make myself redundant, by hiring better people than me! I always find up with something new to do! At Beer Hawk, I now look after all our Marketing, B2B Sales, Product, Tech and Finance. My business partner, Chris, looks after our Customer Service, Operations and Buying teams. On a day to day basis, I really spend my time thinking about our people, how our team is working, and the big strategic things that we need to do differently. It is. It’s a really difficult question, but if I had to choose something, it would be the moment someone really credible promoted our brand for the first time. In six weeks, Chris and I had taken Beer Hawk from an idea, to a fully functioning website selling craft beers from around the world. We were using social media, door drops and visiting product fairs to spread the word about our new business. We were doing well, but we knew we needed someone with a significant customer base to give us a much-needed boost. And that was when we signed a deal with East Coast Main Line trains (now LNER). As part of their rewards scheme, the train line offered deals and discounts to customers who racked up points with every journey – and Beer Hawk was now part of it. I still remember the day they announced that we were part of their rewards scheme. Chris and I had sold our cars to finance the business, so we were walking back home from our (very small!) office. At this time, we were still getting personal notifications every time an order was placed, and we were lucky to get ten of these a day. So, you can imagine our surprise when our phones started going crazy in our pockets. East Coast’s email had gone out, and orders were flooding in. Our feelings quickly changed from “cool, new orders”, to elation, before dropping to dread. There were too many orders! How were we supposed to fulfil these orders? Would we even be able to?! The accelerated speed of Beer Hawk has massively increased the complexity of the environs we’re working in. Our customers are very different, there’s no single persona we can tailor our marketing to. We don’t just sell craft beers, but we offer gifts, homebrew kits, and draft beer appliances. We’re operating in the B2C, B2B markets and we’re planning on opening our first omnichannel bar experience. And our rapid growth has led to our workforce expanding and becoming increasingly diverse and varied. 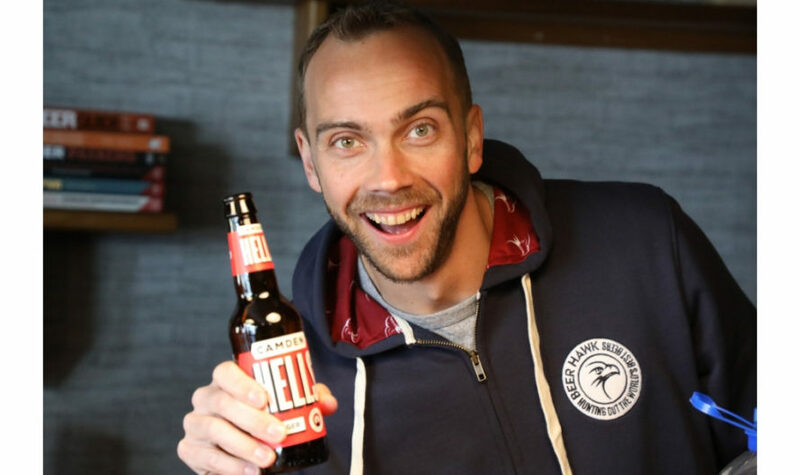 Beer Hawk is still an incredibly young business, and over the past year, we’ve been experiencing some specific growing pains about being such a fast-growing business. Well, that all depends on where I am, what mood I’m in and what time of year it is!